After an impressive showing against the North Queensland Cowboys, the New Zealand Warriors hosted the Brisbane Broncos in Round 6. The Warriors were looking for their sixth consecutive win of the year while the Broncos were looking at breaking a two-game losing streak. Unfortunately for the 16,636 fans in attendance, the Broncos came out on top with a 27-18 victory. 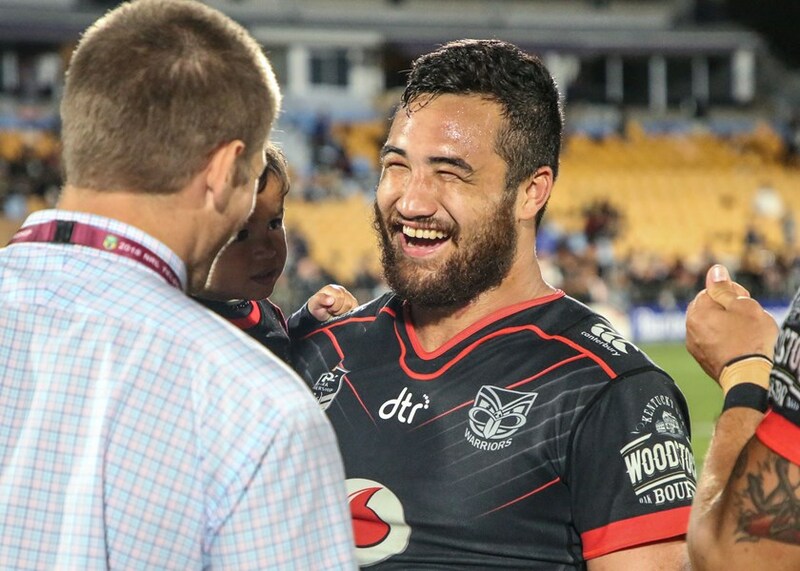 It was Old Boys day at Mount Smart on Saturday with a lot of the Warriors former players returning to the stadium, and in an ironic twist, the Warriors performed like the Warriors of old in a performance that sent me back to the dark times of 2017. The Warriors appeared sluggish right from the first whistle, the Broncos were desperate, and it showed in their performance as they applied pressure to the Warriors for the majority of the match, and the Warriors just didn't respond in the way that fans have come to expect in 2018. The reason for this? I cant say I know for sure. Maybe the Warriors started to believe the hype after their 5-0 start, or perhaps the Bronco's started strong and rattled the New Zealand side and they just never managed to get their gameplan in motion. Losing Leivaha Pulu early in the match with an ankle injury did not help matters as Pulu had been making dents in the Bronco's defensive line. Solomone Kata also went off with an ankle injury late in the game giving Anthony Gelling more game time, but unfortunately, he had a night to forget with most things he tried failing (I believe he just needs game time, which he may now get with Kata's injury). It's hard to say why the Warriors produced such a disappointing performance, and there isn't a lot to praise, but it wasn't all doom and gloom which leads me to my positives from the game. As stated above there wasn't a lot of positives I found in this weeks performance, but I do take encouragement out of the fact that as dominant as the Broncos were and as mediocre as the Warriors were the Warriors managed to keep themselves in the match right until the final whistle. I also think that in a team that performed sub-par Bunty Afoa, Agnatius Paasi and Ken Maumalo stood out as players that were seemingly trying to bend the Broncos defensive line. My last positive is that at the end of the guy the team looked and acted disappointed with their performance. I know that is a bizarre positive, but after years of feeling frustrated at seeing the Warriors smiling and joking after a poor performance it is refreshing to see the players feel a loss, this, in my opinion, bodes well for the bounceback that the Warriors now need to start. I could go on and on about my negatives in this match, but I would prefer instead just to focus on my four most significant issues. Firstly on at least four occasions, the Warriors left a kick to bounce (including one moment when Solomona Kata actually ran away from the ball instead of trying to catch it). This is unacceptable at this level and must not happen again, allowing the ball to bounce immediately put the Warriors on the backfoot. This brings me into my second issue, when the Broncos piled on the pressure the Warriors changed their game style and stopped playing as a team and started just running one out and producing a no hope grubber kick at the end of each set. One of the reasons the Warriors have been performing well for the first five rounds was because they worked as a unit, tackling and running in a pack. A key example of the Warriors playing for themselves instead of the team was when Issac kicked a grubber on the fourth tackle, it wasn't on, and he seemed to be the only player that knew the kick was coming so there was no one running onto it. Shaun also had a quiet game where it felt like he didn't run the ball until the final 10-15 minutes, in Shaun's defence the Broncos defence prevented the forwards getting a roll on so there wasn't a tiring defensive line for Shaun to take advantage of. His kicking game was also off, the grubbers mentioned above were lacklustre and presented no danger for Darius Boyd to defuse. There was also a chip kick attempt out to David Fusitua that went out on the full, maybe if Shaun is having an off night as he did here Blake Green needs to step in and take over more than usual. My last negative is the defence, the Warriors missed 38 tackles this round, and Corey Oates was having a field day with Peta Hiku and Tohu Harris missing four tackles each on that edge. Missed tackles have been an issue all year, and with games against the Dragons and Storm in the next two rounds, they really need to reign that in. All these issues are able to be addressed and worked on, and hopefully, this performance will be anomaly instead of a new trend. My Warrior of the game goes to Bunty Afoa. It was close between Bunty and Agnatius, but Bunty got the edge with only one missed tackle compared to Paasi's four. Bunty has impressed me immensely in 2018 with his high-intensity hit-ups and reliable defence in the middle. He is a no-nonsense player that reminds me of the forwards of old and after a few seasons playing in the second row and lock Bunty has really relished returning to the front row. I'm looking forward to having James Gavet returning and combining with Bunty in the middle getting that backline the roll on they sorely need. I think the Warriors would have started this game a lot better if Bunty was starting and hopefully Stephen Kearney learns from this and lets him start against St George this week. The Warrior who needs to improve goes to Peta Hiku. I feel like I'm highlighting Peta's defensive issues every week, and he now is second in the NRL for missed tackles with 30, averaging five missed tackles a game. 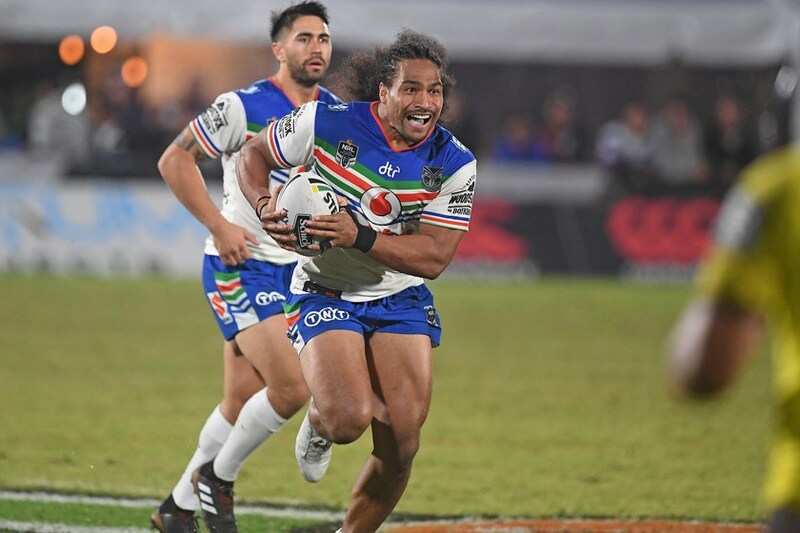 Yes, his combination with Tohu Harris and David Fusitua have been fruitful when the Warriors are on attack, but he needs to make changes as teams will target him as the weak link in the Warriors defensive chain. With Solomona Kata's injury possibly keeping him on the sidelines for 4-6 weeks Peta will most likely be staying in his spot in the starting line up for the foreseeable future, so hopefully, he can get out of his jersey grabbing habits and bring his missed tackle average down. Round 7 has the Warriors playing at Mount Smart once again with the undefeated St George Dragons coming into town. The Dragons have been impressive this year and have always seemed to cause the Warriors issues in the past, so this is going to be an exciting encounter. With Pulu's and Kata's injuries some changes will need to be made, and I think Stephen Kearney will move Mannering into the starting line up for a straight swap with Pulu and Anthony Gelling will be given the centre spot with Blake Ayshford and Gerald Beale still not being 100% yet. This change will also open up two spots on the bench for Isaiah Papali'i and Ligi Sao to return as the Warriors will need their size on the bench to combat the large Dragons pack. The Warriors will be looking at getting back to the victory circle and need to make a statement that Round 6 was a one-off and what better statement is there than dealing the Dragons their first loss of the year. Unfortunately, I don't see this happening as I have picked the Dragon's to win here by 10 points. So that was a disappointing Round 6, but as usual, I will leave you with some questions. Who would you bring in for Pulu and Kata? What is your biggest concern from the Round 6 performance? Why do you think the Warriors seemed sluggish right from kickoff? What is your score prediction for Round 7?